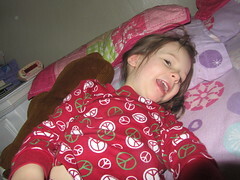 My Funny, Funny Family: Can you believe we had to wake this one up on Christmas morning? Can you believe we had to wake this one up on Christmas morning? More photos from our sweet white Christmas coming soon.